Charming yellow pair of tubular metal and plywood 1960s school chairs. 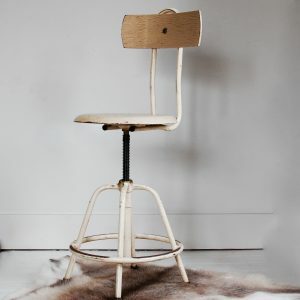 The chairs are very stable and strong, and in good condition, although showing signs of use which add to their charm. The pair is stackable. Black feet. A lovely mid century industrial style addition to a child’s bedroom. Available to buy now, or can be seen by appointment if desired.